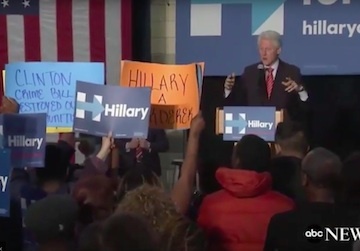 An unhinged Bill Clinton went ballistic at a campaign event and verbally attacked blacks protesting against his 1994 crime law that decimated black America and Hillary supported. Protestors were also upset about Hillary's bigotry displayed in 1996 when she said: "They are often the kinds of kids that are called 'super-predators.' No conscience, no empathy, we can talk about why they ended up that way, but first we have to bring them to heel." See the article “Why Hillary Clinton Doesn’t Deserve the Black Vote” by Michelle Alexander. At a ritzy fundraiser in New York, a black woman protestor confronted Hillary and demanded an apology, but Hillary refused and had the protestor thrown out. 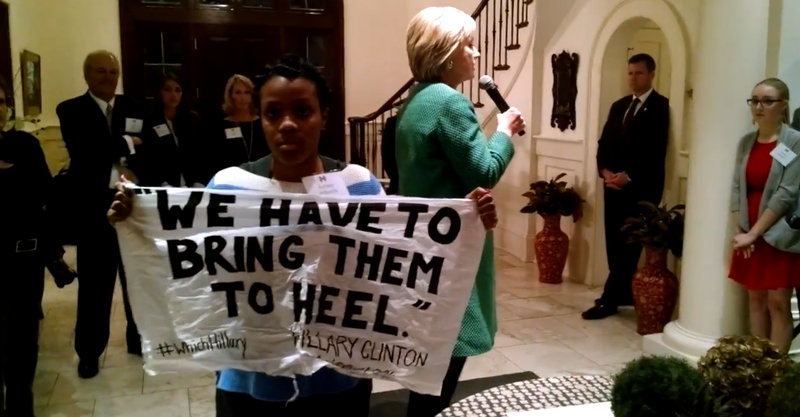 See "Activist Protests Clinton at Fundraiser, Asks for Apology on Mass Incarceration." Notably, even the mainstream media assailed Bill Clinton over the unbridled anger he unleashed on the “Black Lives Matter” protestors. Below is a list of some of the articles.